Please join Amnesty International in wishing Khadija a happy birthday and declaring your support and solidarity with her. In a series of articles published from 2010 to 2014, Ismayilova revealed state-level corruption in Azerbaijan by its current President Ilham Aliyev, his wife Mehriban, and their children. The complicated schemes she reported on include near-monopolies in various industries that came about through violations of state privatization and nepotism laws. The family ultimately had investments in many Azerbaijani companies and had used their influence to their financial advantage. Khadija Ismayilova had previously received threats related to her investigative journalism. On March 7, 2012, an anonymous person sent Khadija screenshots from a video secretly taken of her engaged in sexual activity with her boyfriend in her apartment. Apparently someone had secretly placed hidden cameras in her home. The screenshots were accompanied by a note threatening to “shame” her if she did not abandon her work. Ismayilova responded that “when I got that blackmail letter, anger was bigger than fear,” and she continued her regular radio program and investigative work. After numerous attempts to charge Ismayilova with various crimes, and a smear campaign that included the release of the videos, on December 5, 2014, Ismayilova was ultimately arrested for inciting a colleague to commit suicide. Although this accusation was quickly recanted, the recantation was ignored by the Attorney General. Later in 2015, she was found guilty of tax evasion, illegal business activity, and abuse of power, and subsequently sentenced to 7.5 years in prison. Such charges are commonly used in politically motivated retaliation against prominent human rights defenders, such as with Intigam Aliyev, Rasul Jafarov, and Anar Mammadli. For more than a decade, the freedom of the press in Azerbaijan has become consistently more censored and the political, economic, and legal situation more dangerous, unfair, and even violent for many media outlets. Most sources of information are owned and controlled by the state and, or its proxies. In recent years, laws have been changed to permit for-profit companies to withhold information regarding registration, ownership, and structure, effectively preventing the identification of their ties and profits to public figures. Azerbaijan is ranked as the fifth most censored country by the Committee to Protect Journalists in 2015 and 163 out of 180 for freedom of the press by Reporters Without Borders in 2016. The attack on Ismayilova is not only an attack on a corruption-fighting journalist, but on freedom of the press and of speech itself. She still writes from prison in spite of the fact that most of the letters she has written have been seized without being delivered. In one case, Ismayilova helped overturn one young woman’s pre-trial detention order by writing the appeal for her. Ismayilova has also spoken up for the prisoners’ rights to more nutritious food. On November 25, 2015, Judge Murguzov rejected Ismayilova’s appeal. Ismayilova says she expects further appeals to be rejected by her last remaining recourse in Azerbaijan – the country’s Supreme Court. Failing there, Ismayilova will present her case to the European Court for Human Rights in Strasbourg, with examples of what she says were violations of a right to fair trial. As noted by RFE/RL, these include confiscation of her defense notes, the denial of private meetings with her attorneys, and muting of the testimony. Khadija Ismayilova’s case is now pending before the Supreme Court of Azerbaijan – after which she will have exhausted her domestic remedies. The Supreme Court might return the case to the lower instance court or change the sentence. The Supreme Court will have a hearing on Khadija’s case on May 25. There is a separate case submitted to the European Court of Human Rights as well, where, among other lawyers, Amal Clooney is representing Khadija. 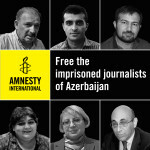 Recently, Azerbaijan has released 11 prisoners of conscience by presidential pardon. Azerbaijan’s government, facing the reality of economic uncertainty and the growing decline of petrodollars, coupled with the well-founded fear of social unrest, has toned down the rhetoric of being a strong, self-sustained independent player and turned for more help to international organizations, including international financial institutions. Many link the release of the prisoners to these developments. It gives us hope that Khadija Ismayilova might also be released soon and we should continue our efforts to secure her freedom. Wish Khadija a happy birthday on May 27 and remind her that she is not alone. This is how you say happy birthday in Azerbaijani “Ad günün mübarək” but messages in all languages are welcome. You can also post messages and wish her a happy birthday on Facebook and on her Twitter page and use the hashtag #FreeKhadija. She may not be able to see it now but the messages will stay there and it remains a way to publicly and visibly express your support to her. Amnesty International USA, together with the Sports for Rights coalition will be joining a human rights rally in Washington, D.C. to coinside with worldwide public protests on May 27 for freedom of Khadija. 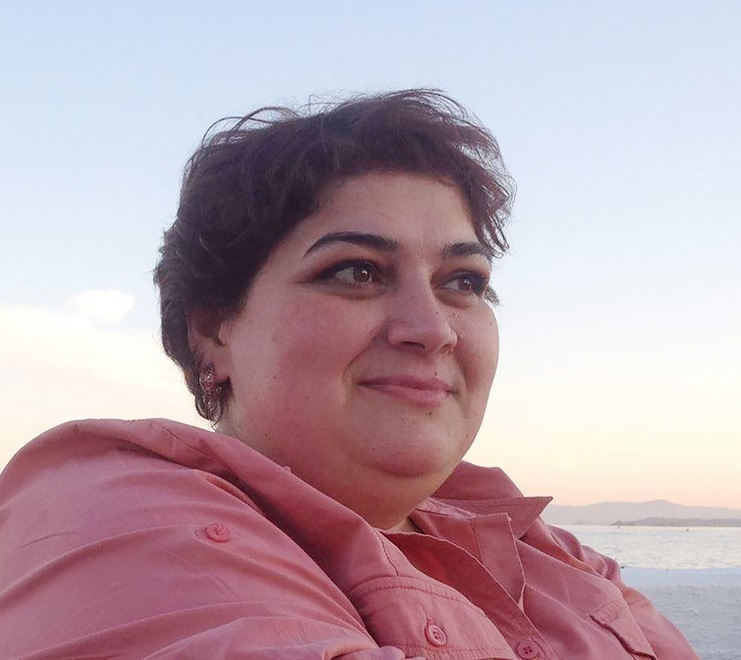 This entry was posted in Censorship and Free Speech, Europe, Prisoners and People at Risk and tagged Azerbaijan, Eurasia, freedom of expression, individuals at risk, Khadija Ismayilova, prisoners of conscience by Guest Writer. Bookmark the permalink. Happy Birthday! Remember to love yourself and to read my articles at https://essayhelpau.com/. Stay strong!